Austin, TX - US Acute Care Solutions (USACS) and Cedar Park Regional Medical Center are pleased to announce a new partnership to provide Integrated Acute Care (IAC) services. USACS' unique model of Integrated Acute Care brings emergency, hospitalist, and critical care medicine providers together as one team with one purpose: seamless, quality patient care across the entire acute care episode. The new partnership will begin January, 2018. USACS had already been providing emergency medicine management and critical care services to Cedar Park. The new partnership extends the strong relationship to cover hospitalist services. "Our model of combining hospitalist and emergency medicine into one team, with unified leadership and accountability, continues to grow rapidly," said Dr. George Mitri, USACS Chief Medical Officer for Integrated Acute Care. "We look forward to working with Cedar Park as a unified team to improve patient care across the acute care continuum." The USACS model of Integrated Acute Care builds on USACS' commitment to physician ownership by creating a single, accountable team of clinicians responsible for continual improvement of patient care throughout the patient's stay, from entrance into the Emergency Department until discharge, and even beyond. The model has led to dramatic improvements in key quality metrics, particularly those that are signifiers of a hospital's preparedness for the future of healthcare. Founded by emergency medicine physician groups in Colorado, Florida, Maryland, Ohio and Texas, and capital partner Welsh, Carson, Anderson & Stowe, USACS is the national leader in physician-owned emergency medicine, hospitalist and observation services. USACS provides high quality emergency and hospitalist care to nearly 6 million patients annually at over 180 locations in 21 states, and is aligned with leading hospital systems across the country. Visit www.usacs.com to learn more. 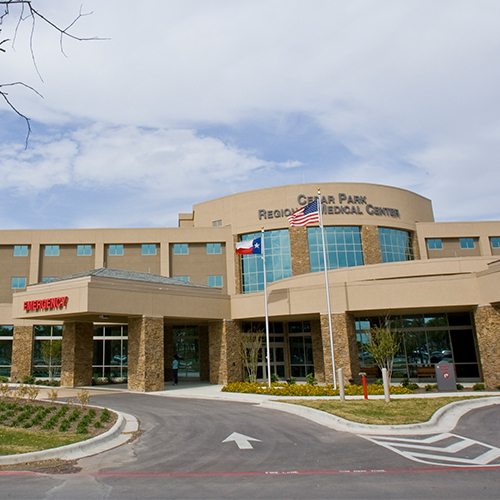 Cedar Park Regional Medical Center is your community healthcare provider; a 93-bed facility with complete inpatient, outpatient, surgical and emergency care. We believe in the power of people to create great care. We're more than 500 healthcare professionals strong. We are a Joint Commission accredited facility that includes a Level II Neonatal Intensive Care Unit. And we work hard every day to be a place of healing, caring and connection for patients and families in the community we call home. Cedar Park Regional Medical Center 's vision is to be the area's preferred hospital for patients to receive care, associates to work and physicians to practice medicine.